Enabling the digital revolution through theories, algorithms, architectures and solutions for analyzing and interpreting signals, images, and multivariate data sets. 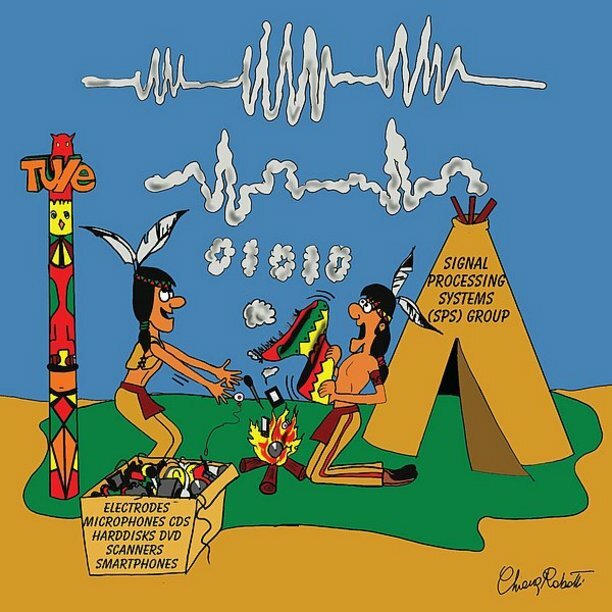 The Signal Processing Systems (SPS) group studies theories and techniques to extract meaningful information from signals, images, and multivariate data sets. We combine academic excellence with a strong real-world impact in biomedical instrumentation, medical image analysis, video surveillance, autonomous vehicles, digital wireless and optical communication, hearing aids, and intelligent lighting. The SPS group has top scientists in signal and image analysis, information and communication theory, and machine learning and artificial intelligence. We also host many senior clinical and industrial experts on a part-time basis, which allows many of our students to be co-supervised by these experts. The Bayesian Intelligent Autonomous Systems lab (BIASlab) is developing autonomous agents that learn from their environment and is using these agents to automate the creation of novel signal processing systems. The Biomedical Diagnostics (BM/d) lab is developing innovative methods for model-based analysis of biomedical signals, ranging from ultrasound and magnetic resonance imaging to electrophysiology and photo-plethysmography. It collaborates with leading clinical partners in oncology, cardiovascular, gynecology-perinatology, sleep, and neuromuscular research. The Information and Communication Theory lab (ICT Lab) studies information processing in a broad sense – data compaction and compression, modulation and error correction, and security. The Neu3CA team studies neurodegeneration, neuromodulation and neuronal networks in the field of cognitive aging, to advance understanding of cognition and its decline in neuropsychiatric disorders like epilepsy, stroke and depression. The Video Coding and Architectures (VCA) group does systems-oriented research on video analysis, image/video segmentation and object-oriented and 3D video compression. It pursues state-of-the-art video functionality at high cost-efficiency by combining novel algorithms and architectures. Clinical relevance is our commitment, achieved through close collaboration with selected clinical/industrial partners and advisors. The SPS group conducts both fundamental and application-driven research on cutting-edge Artificial Intelligence (AI) technology for signal processing systems. We also provide a broad palette of academic coursework on AI that ranges from neuroscience-inspired learning algorithms to deep learning technology and from introductory to highly specialized levels. Our group includes more than 25 academic faculty members and about 100 PhD students with specialized expertise across a wide range of machine learning and signal processing topics. This page provides a gateway to our activities on AI for signal processing systems. Exploitation of domain knowledge. We prefer a model-based solution approach and strong partnerships with (industrial) domain experts. Explicit quantification of uncertainties through probabilistic modeling. The essence of intelligent data processing lies in its capacity to make rational decisions under partially (and noisy) available information sources. These types of processes are best modelled by Bayesian (probabilistic) reasoning and information-theoretic analysis. Resource efficiency. We place a high value on guiding the algorithm design phase by application-specific constraints such as latency, computational load, and performance vs algorithm-complexity trade-offs. We offer a wide palette of AI coursework that ranges from fundamental theory (e.g., information theory and Bayesian machine learning) to modern high-performance deep learning methods. These courses are available at both undergraduate and graduate academic levels. Explore more relevant AI and signal processing coursework from the SPS group. If you are a student, potential sponsor or industrial partner and want to work with us, please contact the SPS group chair prof. Jan Bergmans. Bidirectional staff exchanges: around 20 senior experts from strategic industrial and clinical partners have part-time appointments in the group, mostly at the level of full professor. Also, several of our senior staff members serve as scientific advisor to a variety of high-tech companies. Furthermore, many of our PhD students are embedded for a significant part of their time with strategic partners. Joint roadmaps: we contribute structurally to joint roadmaps with industry in the framework of e.g. the Center for Wireless Technology, the Center for Care and Cure Technologies and the Eindhoven MedTech Innovation Center. Industrial funding: many of our PhD projects are funded partly (and in several cases fully) by industry. Patents: our research frequently results in patent applications, either jointly with industry or with TU/e as main applicant. Real-world applications: over the years, many of our research results were absorbed in industrial products and/or clinical practice. Start-up companies: since 2000 we have produced 11 start-up companies. For general information on graduation projects and internship projects please have a look at https://www.sps.tue.nl/master/#graduating or contact T.J. Tjalkens (T.J.Tjalkens@tue.nl). Bringing technical innovations all the way from early research to implementation and commercialization can often take a long time. In healthcare innovation, in particular, this lost time can often equate to lost lives. 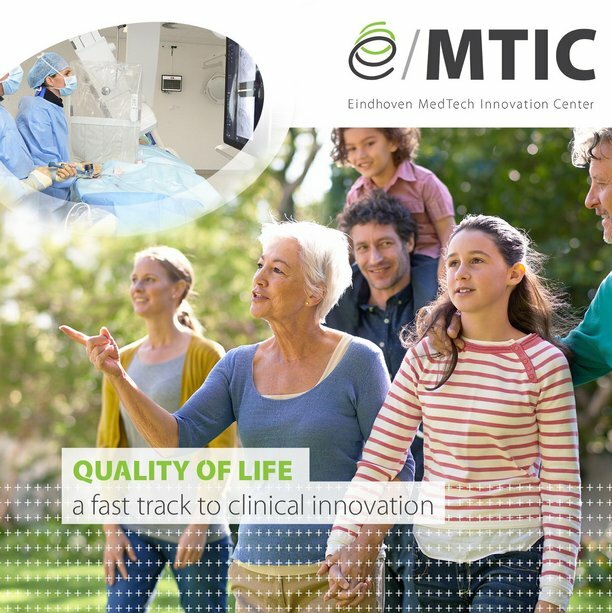 The goal of the Eindhoven MedTech Innovation Center (e/MTIC) is to create and expand an ecosystem that strongly increases the speed of high-tech health innovation, maximizing value for patients. 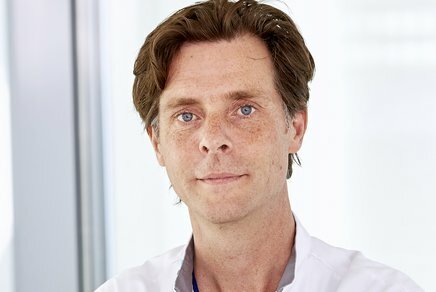 We consider such an ecosystem to be an unmet need and a unique opportunity for the Brainport region to make significant contributions to visionary new developments in healthcare. 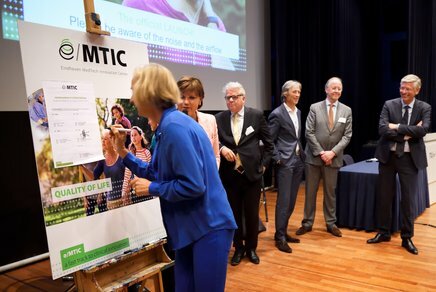 e/MTIC is a large-scale research collaboration between the Catharina Hospital (CH), the Maxima Medical Center (MMC), Kempenhaeghe Epilepsy and Sleep Center (KH), Eindhoven University of Technology (TU/e) and Royal Philips Eindhoven (RPE) in the domains cardiovascular medicine, perinatal medicine and sleep medicine. The partnership has evolved over several decades, has a strong scientific and valorization track record and currently encompasses around 100 PhD students, supervised by a similar number of experts from the various partners.